This entry was posted on October 29, 2015 at 2:40 pm and is filed under Biography, Drama, History with tags 2015. You can follow any responses to this entry through the RSS 2.0 feed. You can leave a response, or trackback from your own site. Likewise Mulligan uplifts another weak script from Abi Morgan. Mulligan was better in Far from the Madding Crowd anyway. I too was already set to love it. Did not expect to walk out dissatisfied. Such a missed opportunity! I’m a self-proclaimed feminist but I think I might skip this one. I saw the trailer for it in front of Me and Earl this summer and wasn’t that impressed. I thought its only purpose is to rile people up and get Meryl Streep her 50th Oscar nomination. I would be shocked if anyone other than possibly Carey Mulligan got Oscar consideration. There just isn’t enough depth to any of the other characters to warrant a nomination. I wanted to champion this story. It’s a shame when a powerful story is mishandled. Such a missed opportunity. Great review. To be honest I would have watched this somehow someway if it looked to be a fairly certain movie that would have received Oscar consideration. Always best to be able to say you’ve seen most—if not all—of the likely/surefire Oscar nominated work at least in Best Picture…. A month ago I thought a Best Picture nomination was a certainty: period drama, Meryl , Streep, women’s rights. I mean C’mon! But now that I’ve seen it, only Carey Mulligan seems worthy in my eyes. I liked this slightly more than you but I was amazed that a film that should have had such an emotional impact was almost devoid of any heart. Exactly. It was meticulously staged but it lacked passion. You’re totally right. This movie should be an unimpeachable drama, a slam dunk. Words can’t describe how bummed I am to hear that it’s a tedious chore with a mangled narrative. 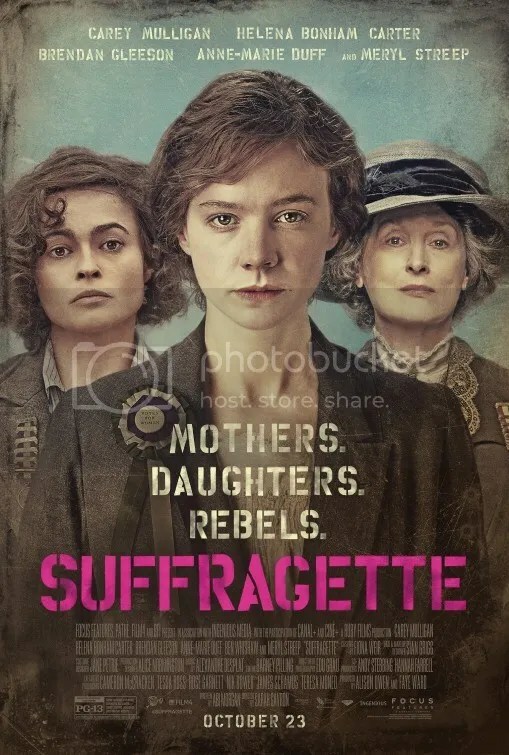 Based on your review, I have no interest in seeing this, and the nail in the coffin is, “These are supposed to be our mothers and daughters, but they aren’t human, they’re shortcuts to character development that short change a powerful saga.” I’m definitely not on board with short changing the real womens’ struggles. Thanks for the warning on this one.